The Soterix Medical Animal DCS system is the only device and integrated accessory set optimized for pre-clinical research on transcranial Direct Current Stimulation. The Soterix Medical Epicranial implant is the first and only electrode design that has been optimized specifically for Animal tDCS experiments. It is simple, robust, easy-to-use and ensures reliable stimulation. The implant consists of three parts: 1) cylindrical Holder Base 2) Pin-Type electrode holder, and 3) Cap. Fix the Holder Base directly on the exposed skull with dental cement. Fill the Holder Base with conductive gel. Mount the Pin-Type electrode holder on the Holder Base by screwing onto it . 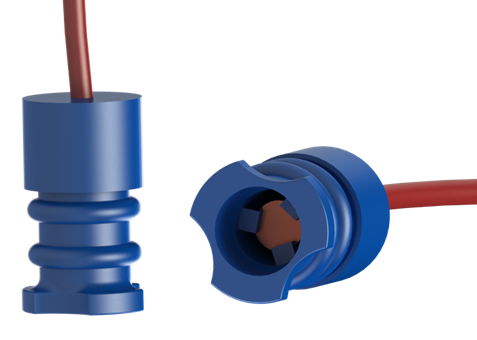 Simply unscrew the Pin-Type electrode holder from the Holder Base when you need to insert fresh conductive gel or when not in use. Compatible with Soterix Medial Animal tDCS device. Contact Soterix Medical for your custom needs. Use: Contains 10 Soterix Pin-type Electrode Holders, 5 Holder Bases, 1 syringe, 2 caps. *Follow all storage instructions for Soterix devices and accessories. 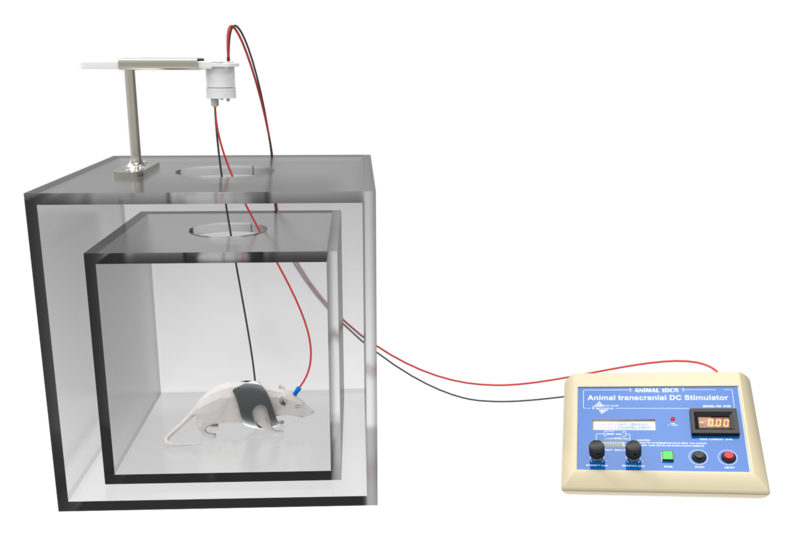 The Soterix Medical Commutator solution now allows you to perform tDCS experiments on rodents without restraining them. It is safe, reliable ,easy-to-setup and ensures consistent electrical continuity throughout the experiment. Long stimulator cables are routed through the commutator and any tension on the system is automatically and seamlessly adjusted allowing full freedom of movement. Combine this solution with Soterix Medical Epicranial Implant to obtain the complete system for Animal experiments. Contact Soterix Medical to determine the optimal accessories for your Animal tDCS experiments.